I’ve been thinking vaguely of rereading this one soon, and rereading my review has convinced me of it! A fun note I’m not sure I knew when I wrote this–the author Peter Dickinson was married to Robin McKinley, a long-time favorite author of mine. I love connections like that! There’s an old legend that Merlin never died–that he’s imprisoned beneath a stone somewhere on the moor, sleeping through the centuries. And while he sleeps, what might he dream? This is the frame-story for Peter Dickinson’s wonderful book, Merlin Dreams. He tells eight stories, eight dreams of Merlin beneath his stone. 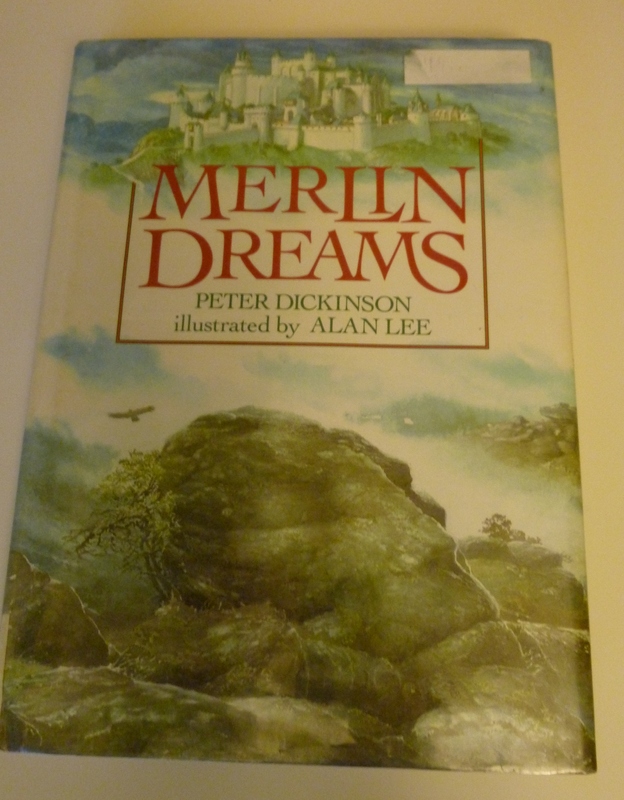 Between each story Merlin half-wakes, remembers his life or senses what goes on above him, then drifts back into sleep…and has another dream. I’m fascinated by the frame story, and the short stories are excellent too. Several have a vaguely Arthurian flare, although I don’t think any retell an actual legend. But there are dashing (and not so dashing) knights, brave damsels and many unexpected heroes. There’s a king, fallen from honor and strength who needs a little girl to show him the way back. Another little girl befriends a unicorn in the woods, only to be threatened by men who want to exploit the opportunity to hunt a unicorn. Two stories feature tricksters who put on shows for country folk they hold in contempt, only to be undone by their own tricks. There’s a young prince who fights a dragon, and another, particularly ugly young man, who fights a sorceress. And woven throughout, Merlin remembers his own life, and strange fragments of other scenes and stories. There’s a wonderful magical, mystical quality to the stories. Often all is not as it seems, and the magic holds plenty of surprises. Even though I don’t think these are traditional stories, many have that enchanting feel to them. Part of it’s very much the writing. 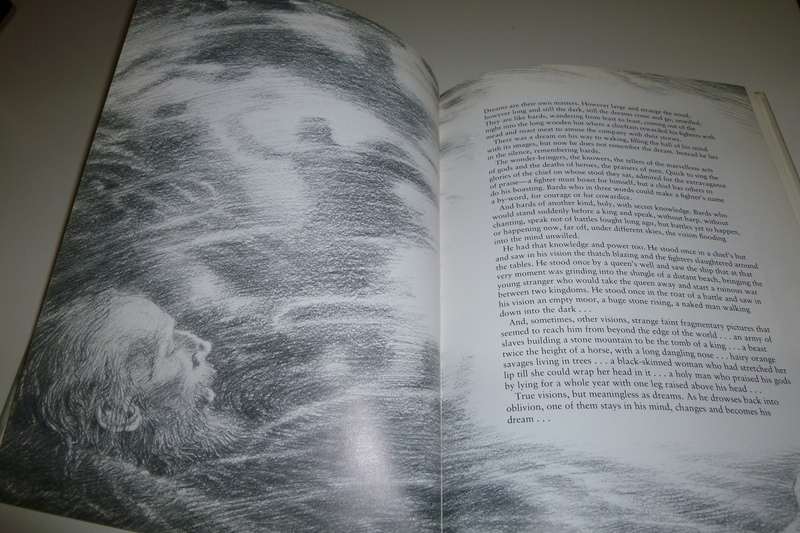 Part of it is the illustrations too. 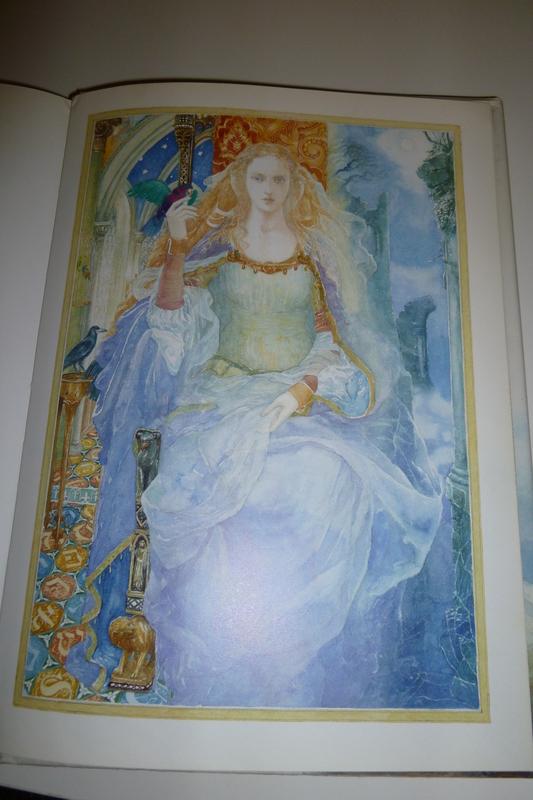 I honestly don’t know if there are multiple versions of this book, but if there are, make sure you get a copy with Alan Lee’s illustrations. 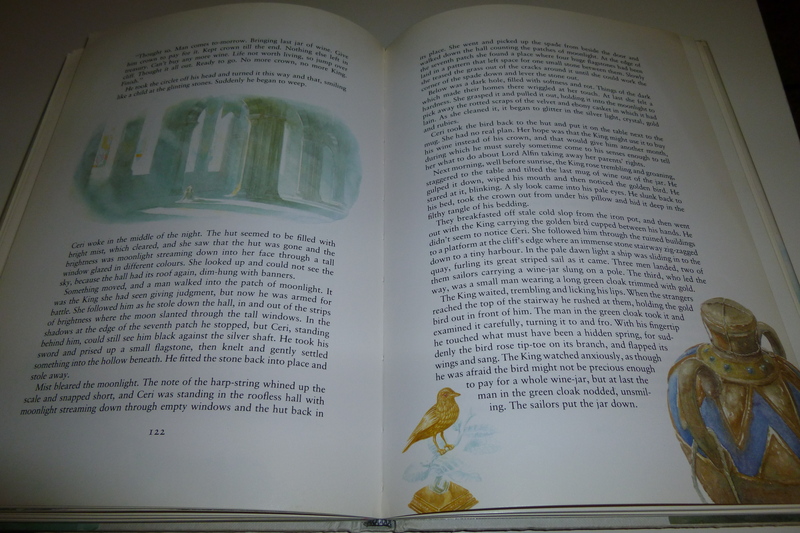 There are many throughout the book, some dark and shadowed, some vivid and bright. They bring the stories to life in a new way, and many are just beautiful. This is generally put in the kids section, and I think the short stories are definitely good for kids. A word of warning that some of Merlin’s reflections are pretty dark. 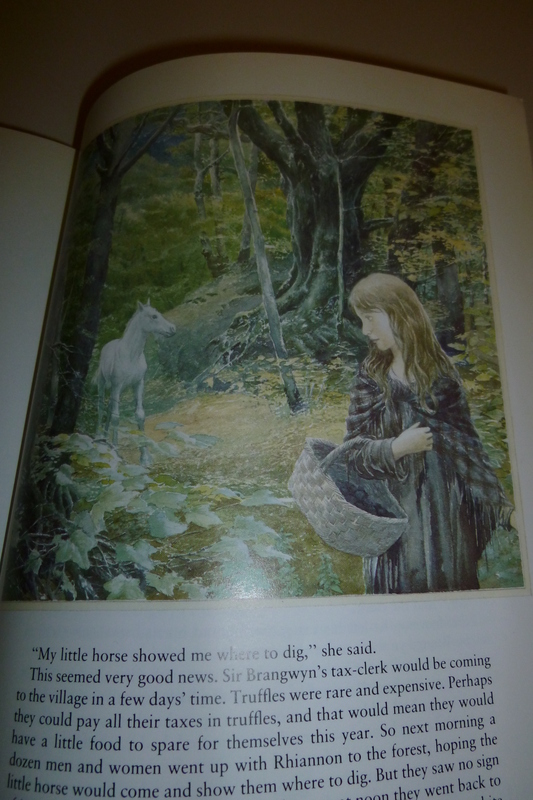 And as beautiful as most of Alan Lee’s illustrations are, some could be disturbing for a smaller child. There’s no Table of Contents to the book, which can be a little inconvenient at times. But I think it fits too. After all, it’s not just a neat line of stories. It’s a series of dreams, and if you could line them up and list them out and easily jump to one or another, I think that would lose some of the flowing, magical quality of the book. I can’t resist a few more pictures! You can click on them to see them larger.